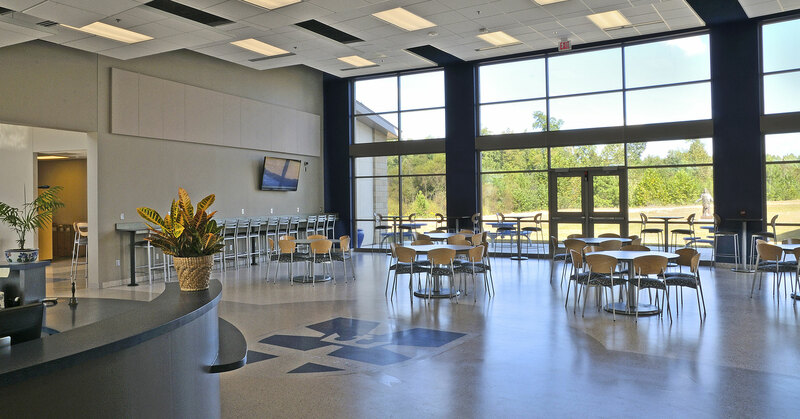 Phased construction is allowing this new high schoool to accomodate current needs while also planning for future growth. 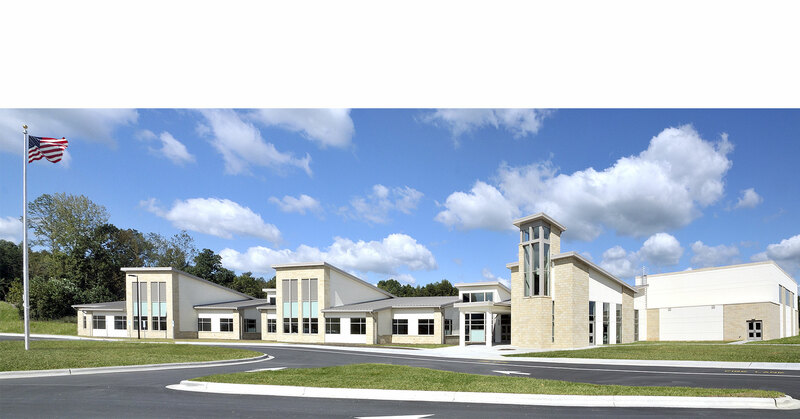 Phase One serves 300 students and encompasses 30,600 square feet, and features 15 classrooms, 2 science labs, 1 art classroom, gymnasium, and student common areas. 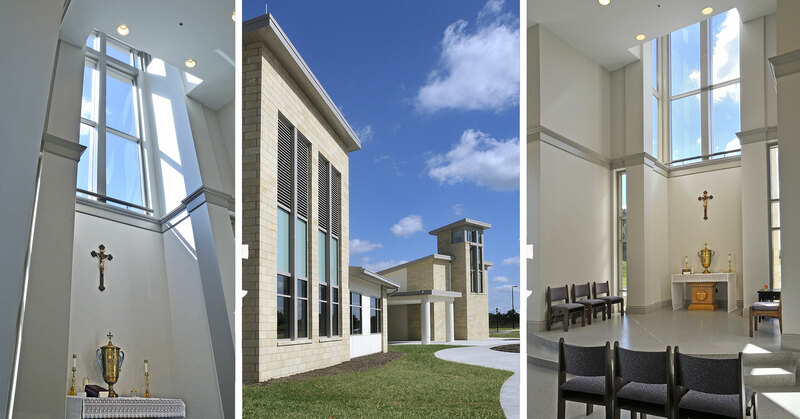 Chapel space was designed to seat up to 50 parishioners and features a tower that serves as the focal point of the campus. 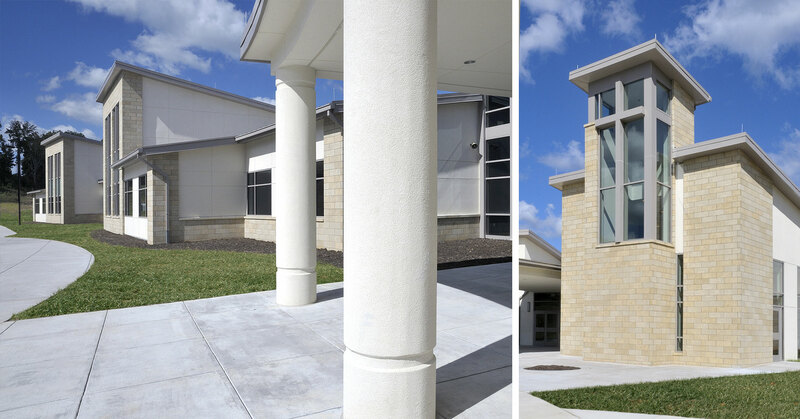 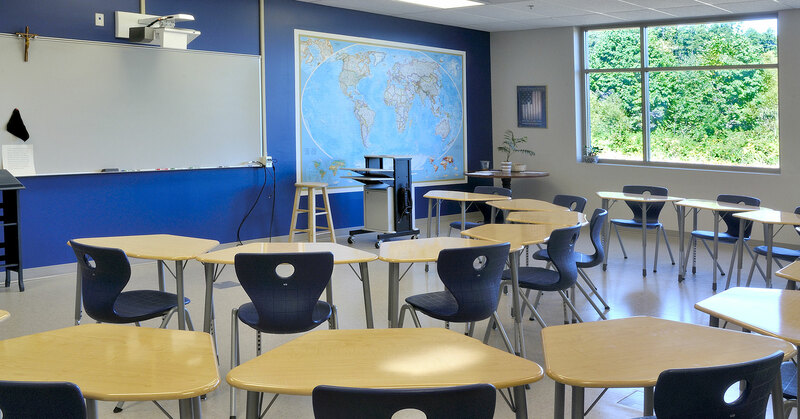 A recently completed two-story classroom addition of 18,000 square feet allows for an additional 200 students. 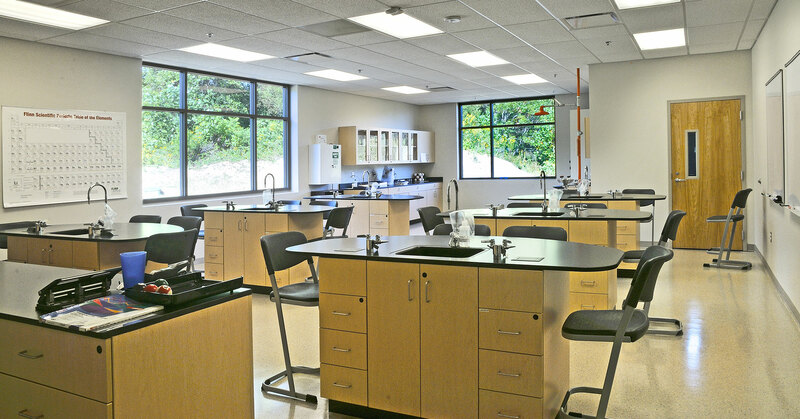 Along with classroom spaces are 2 science labs, an art classroom, a drama/band classroom, a shop classroom, and cafeteria.